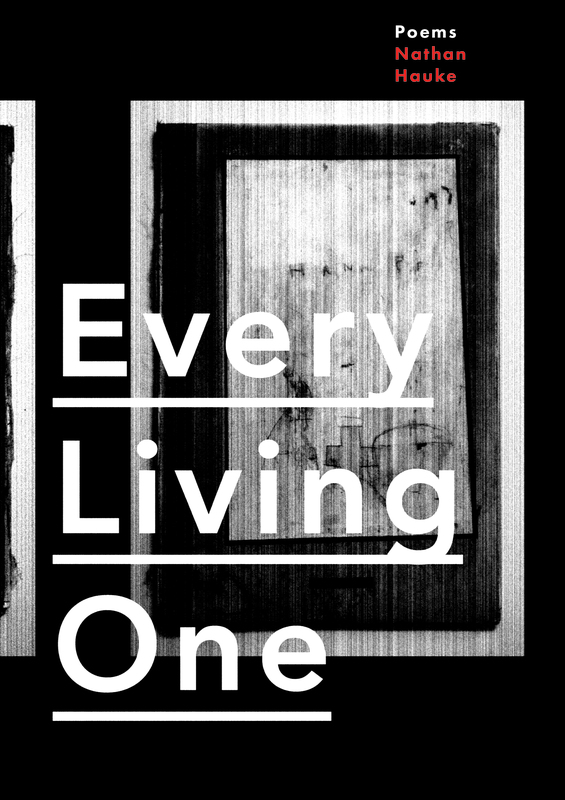 Yesterday afternoon we received shipping notice; we’ll have copies of Nathan Hauke’s EVERY LIVING ONE tomorrow! That means today, Tuesday, is the final day you can get a copy of EVERY LIVING ONE for the pre-order price. Composed through the accumulation and solve of discrete interwoven series, EVERY LIVING ONE attends to presence rent by attachment and loss—creation entrusted to itself, further bewildered by text(s) and belief. It picks through the razor briar of “born-again” religious rhetoric and junks the abstraction of transcendentalism to embrace visionary experience, cleaving to practice grounded in relinquishment and acts of salvage that accompany the transformative threshold of edges.